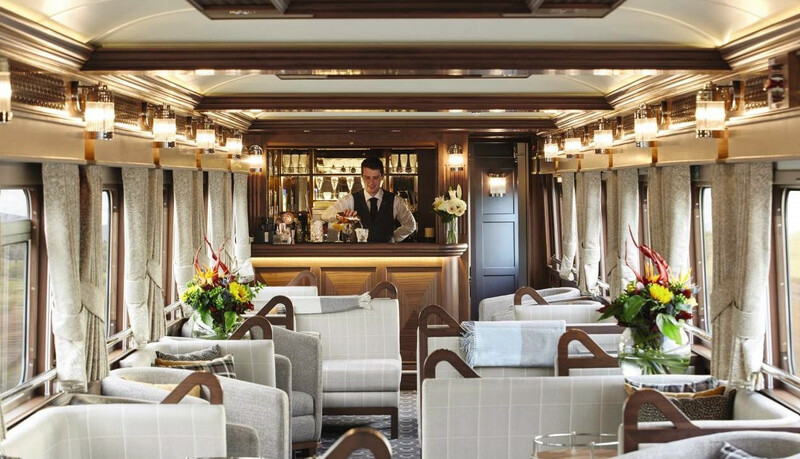 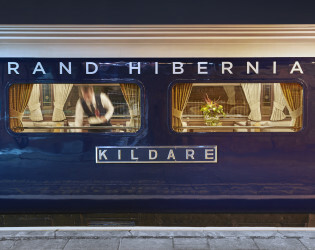 It’s all about relaxation and hibern…ation, on the spectacular Belmond Grand Hibernian rail experience! 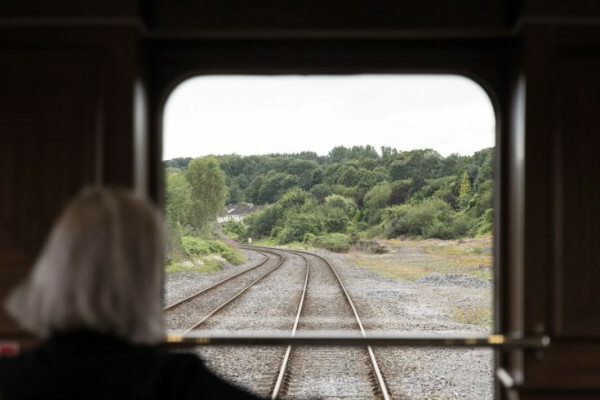 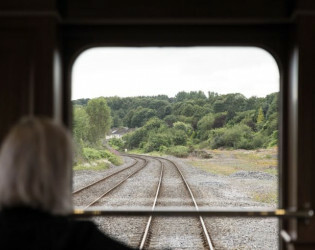 If you and your besties are looking for an adventure different than what you’re use to, then you need to check out this first of its kind rail experience that takes you on an exploration throughout Ireland! During your train ride to the historic sites, you’ll marvel over the spectacular scenery and rare wildlife from the large windows with a glass of Irish whiskey in hand! 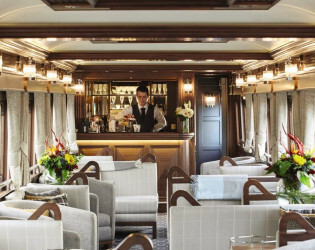 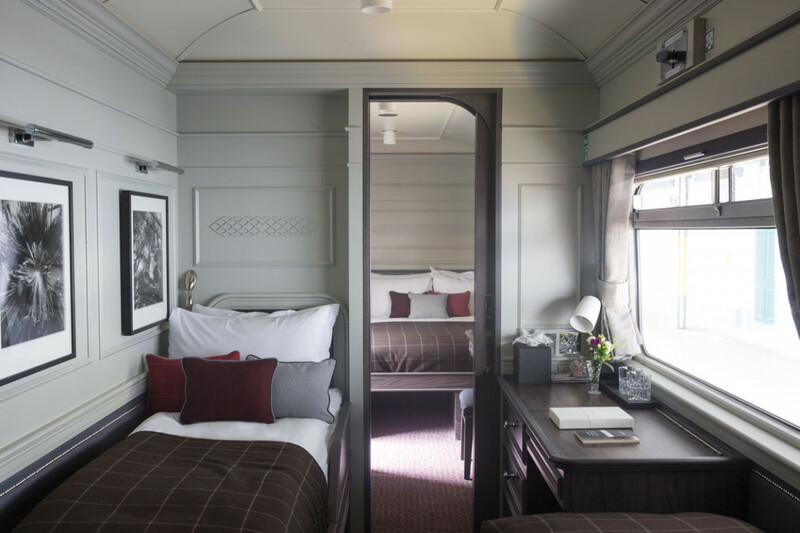 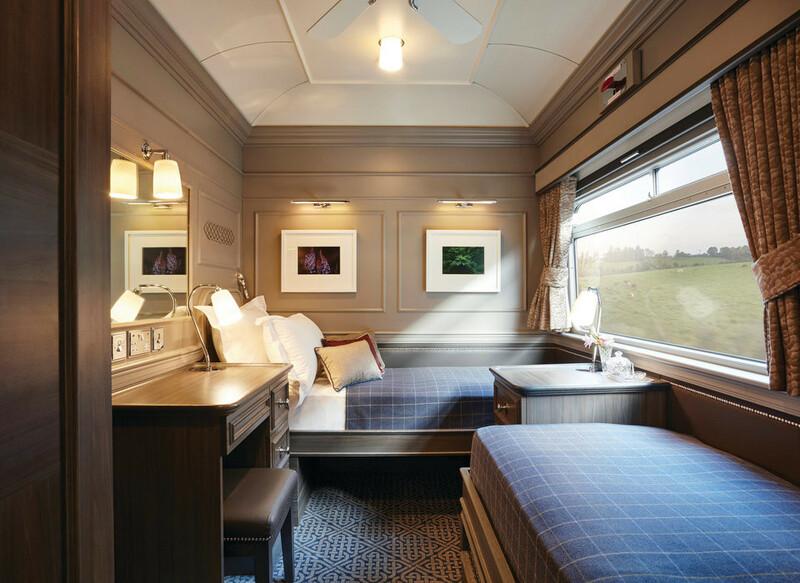 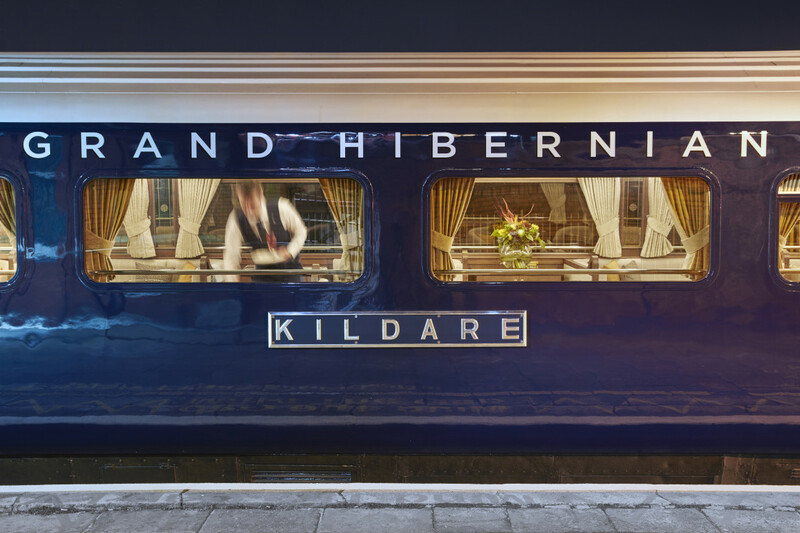 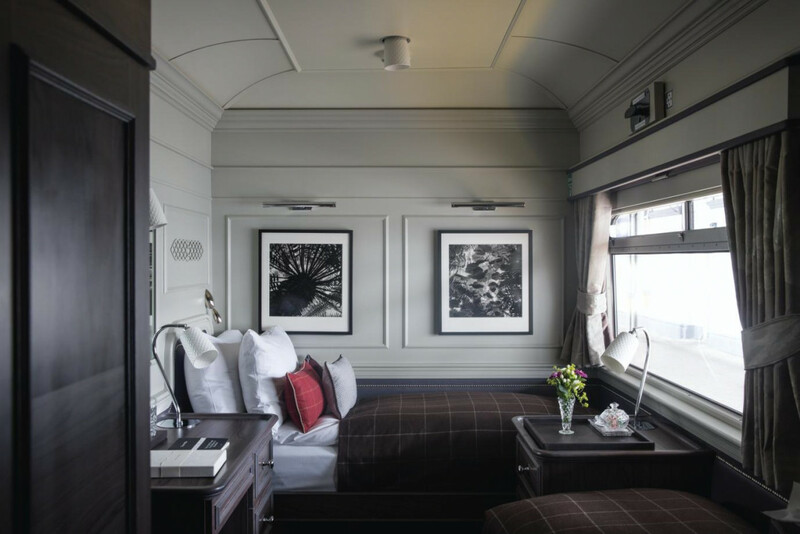 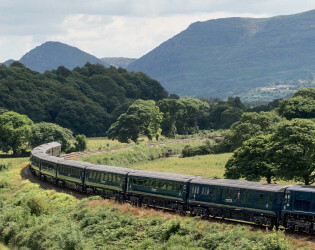 An exceptional new rail experience is taking shape in Ireland; launching in summer 2016, Belmond Grand Hibernian is the country's first ever luxury touring train, lifting travel in the Emerald Isle to dazzling new heights. 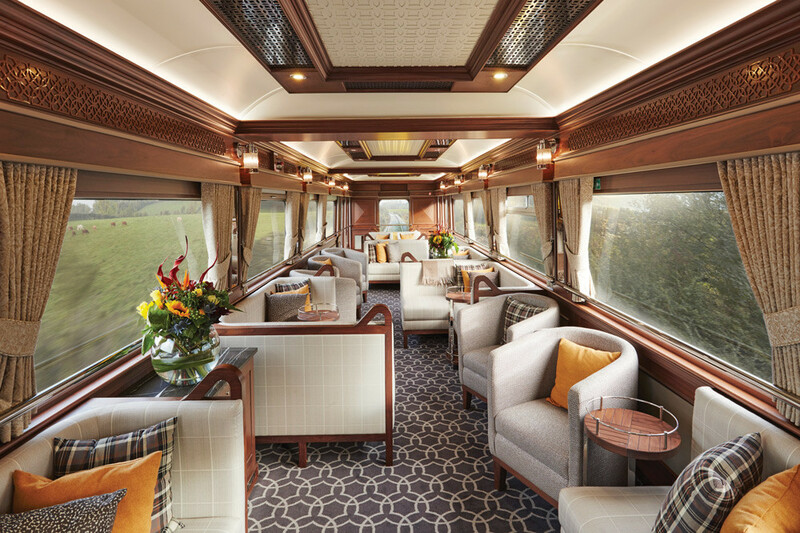 A journey aboard Belmond Grand Hibernian takes 40 guests in lavishly furnished, private en-suite cabins to remote areas and exclusive attractions including ancient castles, famous whiskey distilleries and vibrant cities. 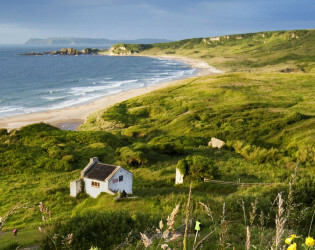 With its lush green landscapes, mystical tales of old, fabulous food and wealth of literary and musical talent, Ireland truly has something for everyone to enjoy. 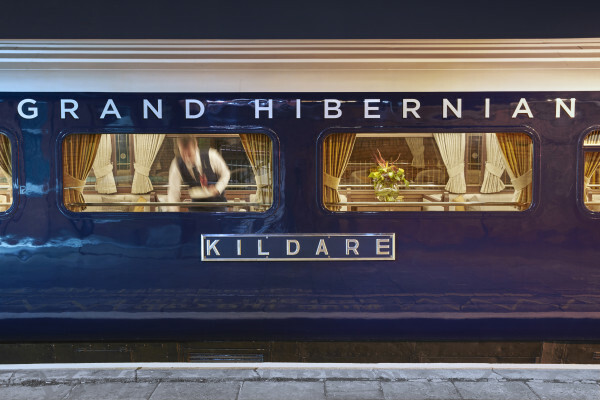 Belmond Grand Hibernian takes its name from the classical Latin word for Ireland-Hibernia-recalling the ancient isle's romance and culture. 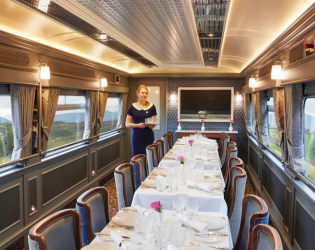 Step on board to enter a whole new world of elegant carriages, fine cuisine and attentive service, with a breathtaking backdrop of the ever-changing panoramas of Ireland's celebrated scenic landscapes. 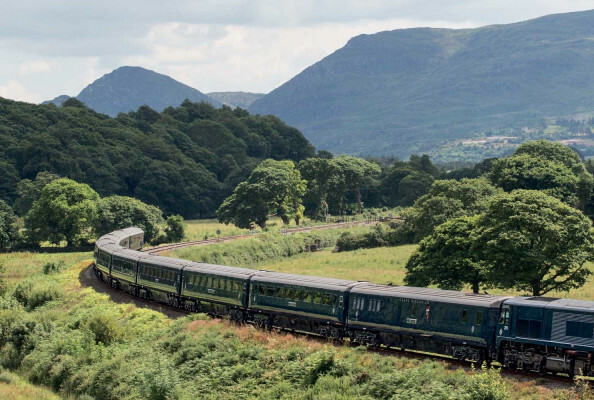 Explore ancient castles, spot rare wildlife, sample famous whiskies and visit vibrant cities. 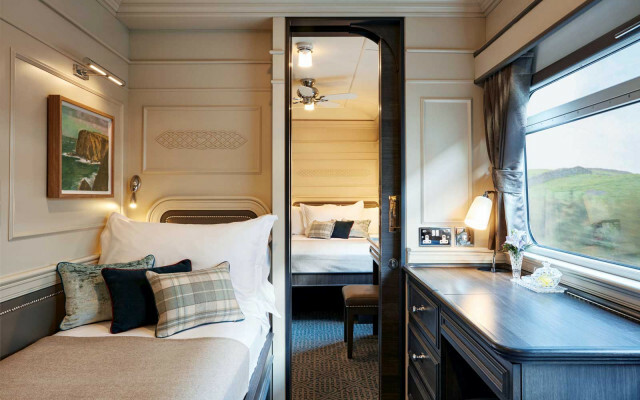 Price is based on two people sharing a double cabin and is fully inclusive of meals, wine, alcoholic and other beverages, visits and entertainment. 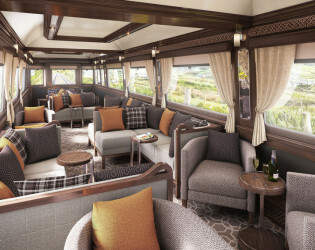 The train configuration is as follows: 2 restaurant cars, 1 observation lounge car, 20 cabins composed of 16 Twin cabins and 4 Double rooms with 4 Interconnecting cabins. 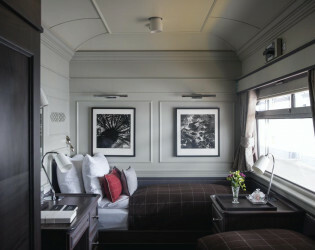 Design draws inspiration from Dublin’s classic Georgian architecture, blended with elements of ancient folklore and tradition. 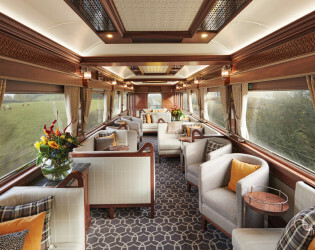 The result proudly reflects the country’s cultural heritage with an indulgent, contemporary twist. 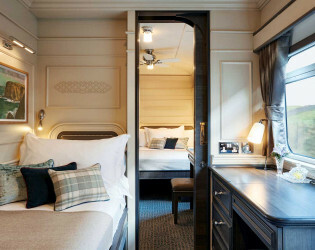 Fully inclusive. 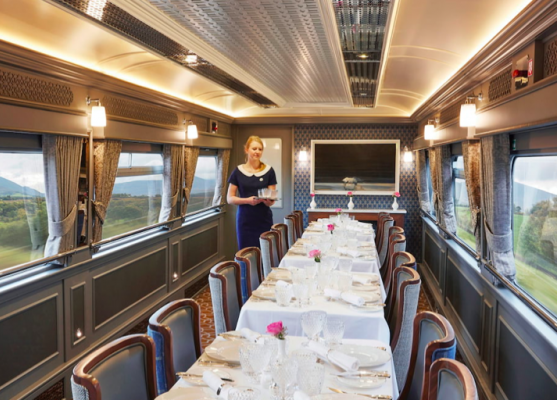 All food and beverages included in ticket price. 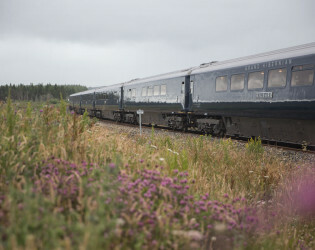 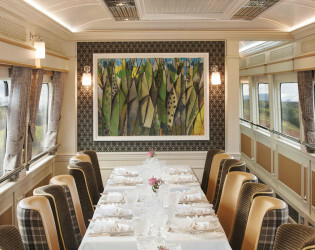 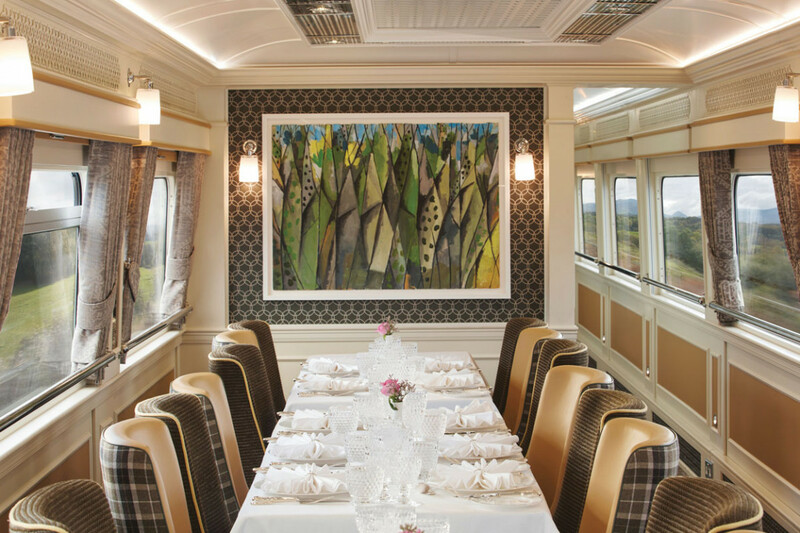 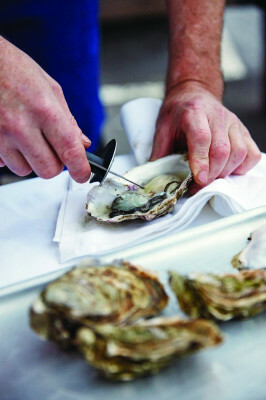 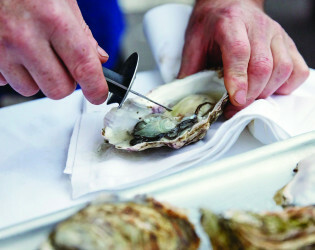 The chef and his team serve breakfasts, lunches and dinners in two air-conditioned dining carriages named after Irish counties, Sligo and Wexford. 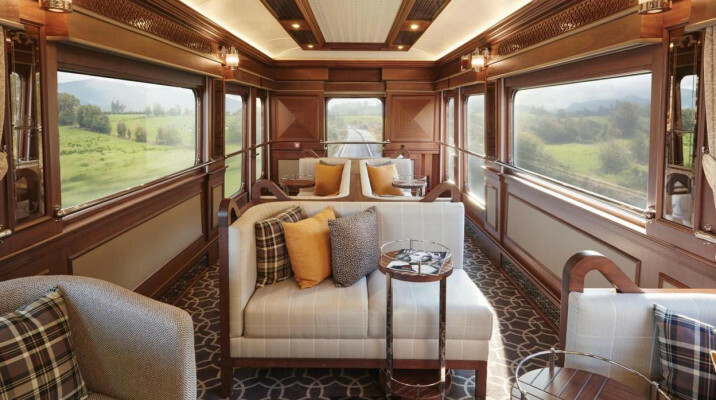 Take a seat in the Observation Car, with a glass of fine Irish whiskey or a pint of local stout, and watch the enchanting scenery from the many large windows. 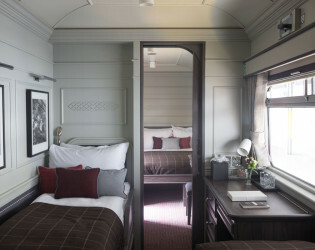 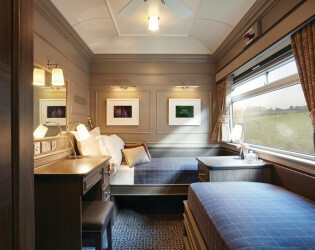 Brimming with Irish charm, the train’s beautiful cabins mix modern luxury with traditional design. 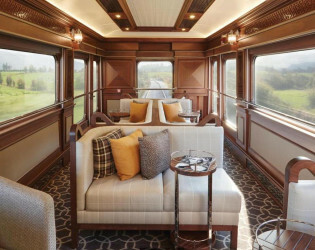 Relax and unwind in the Observation Car and watch the enchanting scenery unfold. 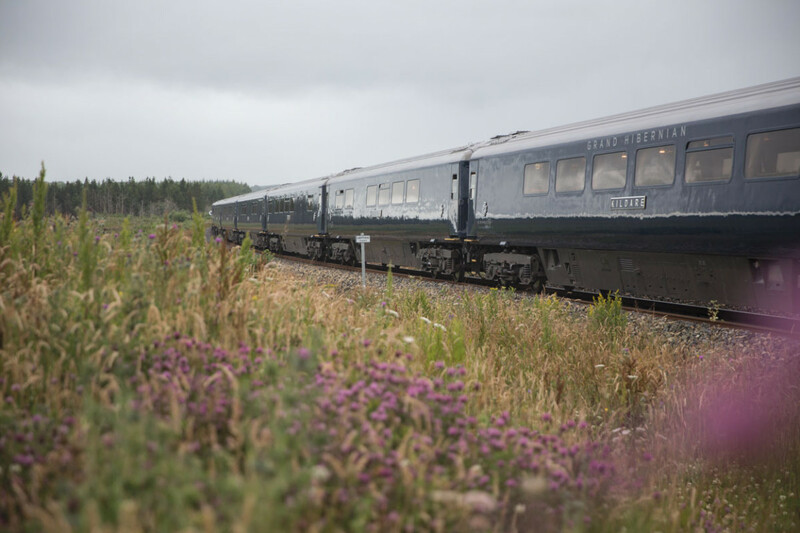 Return home with stories to share and memories to treasure. 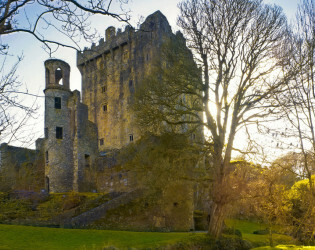 Historic castles, renowned distilleries, vibrant cities—discover Ireland’s rich heritage and culture first hand.